Iberian heat for summer nights lovers. Multicolored watercolor on antique bronze colored metal. Engraved fans and oversized chains pompons. 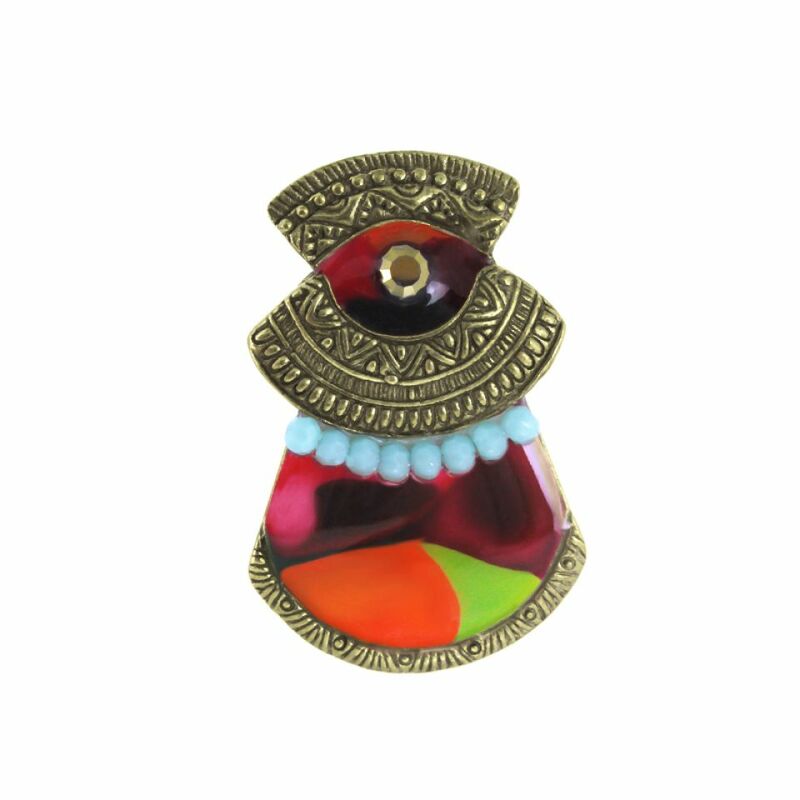 Bronze plated metal, colored resins whose patterns are hand-painted, glass beads, rhinestone. Adjustable ring. Piece size, approximately 2,7 x 4cm.